Hi CSC! 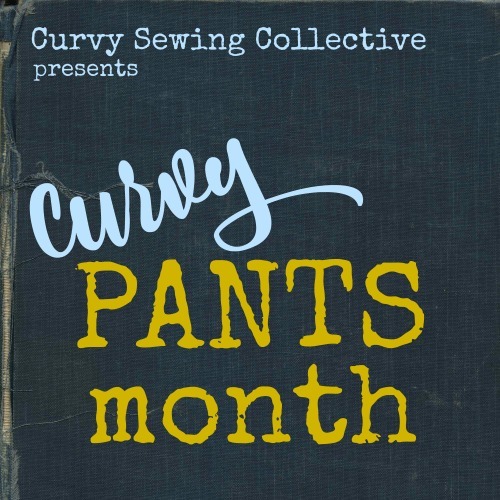 Many moons ago I signed up to be a potential guest contributor on CSC in the event a pattern company ever reached out, hoping to get a curvy gals opinion on their patterns. Imagine my delight when my email pinged to let me know there was a red hot opportunity to review some DIBY.club patterns. Today I am reviewing their much anticipated Bravado Bootleg Jean Pattern. It includes both mid-rise and High-rise options and both Ankle and Flood length hemlines. Right off the bat, I was super impressed that DIBY.club goes right from a Misses 00 to a Plus 36, All in one pattern, all for one price! I land right up the top end with my full hip measurement fluctuating between 60” -66”, I am also on the short side at 5ft2.5” tall with a 25” inseam. Based on my measurements on muslin day, I graded between the 32 high hip, 34 full hip, 34 mid-thigh, And chose to run that straight down for a straighter lower leg. My crotch to knee length matched the crotch to knee length of the pattern and the lower leg had no shaping, so in this instance I decided to hem to desired length at the end, rather than altering the lower leg pattern for my shorter lower leg. My first knee length muslin showed I needed to make some alterations…. For my final jeans I scooped out the back rise substantially (Approximately 2” overall) and removed an inch from the back inner leg seam from crotch to knee. I also scooped out the front rise by about ½” and ‘trued up’ the crotch seam. You may also notice there is a little excess fabric across my hips on the sides. I did take this area in a bit from the initial muslin (about a 1/2 inch on each side) and the patterns talks you through removing that excess completely. However, as I tend to fluctuate wildly through this area of my body from 60 to 66 inches, I chose to leave a little excess fabric, rather than relying solely on the stretch of the fabric. Ideally, I would also have done a knock knee adjustment. This wasn’t in the ‘fit adjustments’ at the back of the pattern, but it would reduce some of the ‘wrinkles’ (And excess fabric) on the outside of knee, while removing some of the ‘pull marks’ (by adding fabric) to the inside thigh seam. It is a pattern adjustment I will make subsequent pairs and also common for me in other patterns. The pattern was great to make – everything was explained very clearly, and there were a bunch of DIBY.club tutorial videos to click through to for areas one might commonly get stuck (Zipper flys, Slat Pockets, Button Holes, Flat Felled Seams etc.). However, it wasn’t my first pair of jeans. I feel that any pattern that has a zipper, button hole, and slat pockets deserves more than a 2.5 star pattern difficulty rating, even if the instructions and videos are remarkable! I love my jeans. They are SO comfortable, and they look miles better than the one pair of store bought jeans I own, but I do have a few (very) little niggles. 1) I really wish there were pocket stays. My pockets keep bunching and I keep getting a little crease in the denim in the pocket. 2) The coin pocket size grows as the fit measurement grows. I feel this is likely a design element, so visually it is proportionate with the size pocket it is in. However, this is an easy adjustment to make for future pairs. My advice to others making this pattern is – just do it – But do it all, and do it right. Take really really accurate measurements. Adjust for height first, correctly. Take pictures of your behind, brazenly, from every angle. Go through the alterations at the end. Don’t be the person who takes measurements over the top of what you are wearing. Pick the largest of those sizes that you fit into, make it without grading anything, and question why it doesn’t work for you…. We’ve all been that person…. But this pattern gives you the opportunity for SO much more than that! 5 – I don’t personally know another pattern company who does such an exhaustive size range, on separate blocks for misses and plus, who sell both as one pattern. 4.5 – They are clear and completely exhaustive. Adding to that the live links to tutorials and the DIBY.club facebook community on top of that & it is a real winner. Please, don’t be overwhelmed by the sheer size of the booklet (53 pages!). It’s all there for the purpose of getting the best fit for you! 4.5 – It goes together well, the pieces all fit, but realistically, you are playing with a stretch fabric, which is a thick fabric, multiple pieces, easing in, zippers, buttons, rivets. DIBY.club have done everything they can to make it a great experience, but you’re still making a pair of jeans! 4 – As mentioned above, the bunchy pockets, big coin pocket and lack of knock knee adjustment are my only real downsides – I’m really am so pleased with the final fit. 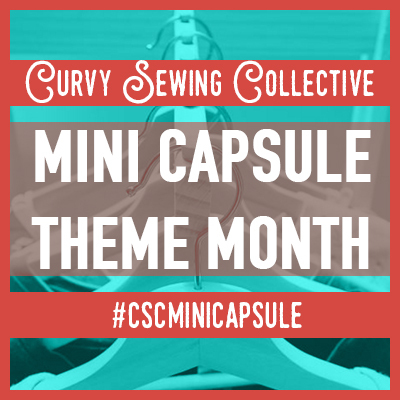 4.5 – This pattern started with sizing that actually encompassed the size of my curves. While the pattern did require some considerable changes to fit my curves well, they were all expected changes. It also walked me through what tell tale signs my jeans had to show where these adjustments were needed and then how to go about making them. I was really impressed this was done proactively as part of the pattern, not as a string of tutorials after the pattern release. I can’t wait to make my next pair! I love everything about the review! It is really helpful for what to pay attention to when I make them. My only question is, when you made your muslin, what fabric did you use? The denim is a stretch but it looked like your muslin was a cotton??? Thanks! Hi Angelica, I’m glad you found the review helpful! My muslin was made with stretch corduroy, it was more a touch more stretchy than my denim when it was first prepped – but behaves quite similarly to the denim now it has been washed and worn many times. Judging by your photos you appear to have the same body shape as my daughter, one that can be a real painto make jeans for while expecting them to look good. That you have achieved it is beyond doubt, the company should use you for advertising purposes, and I will be purchasing this pattern for my daughter. You are also if a similar size, her hips are about 56-58″ and I get fed up of having to constantly up grade patterns so they will fit. Great sewing, great pattern, hope for those who are larger and shorter than average (her size 56″, 48″, 56/58″, 5’2″ tall) so given they fit you so well I will be buying them for her to wear. That’s wonderful to hear, Karen! I do hope your daughter is as thrilled with her soon to be new jeans, as I am with mine. amazing and they look great on you. And your topstitching is phenomenal. Looks like an RTW pair of jeans. If I made those, I’d be wearing them every day. I do hope you have better luck with these than with your butterick pattern – the trouble shooting / fit adjustments at the end of the pattern are great (And tell you what things can be adjusted after you have made them, and what requires prior pattern adjustment, before cutting – so – read all the way through, before touching your fabric 🙂 ) And if you do have issues, or are not quite sure about something, between all the video tutorials, and the wealth of knowledge in the DIBY Facebook community, I think its highly likely you will come out with some jeans that you LOVE and want to wear every day! You got a phenomenal fit on these jeans. Holy smokes. Thank you Rebecca! It really helps having all those fitting tips at your fingertips right at the end of the pattern, so you can look up what all the different lines mean & get shown how to remove them! I love your review! It is so clear and concise and made me far more likely to buy and try the pattern. I hope to see you do more of them! You mentioned that scooping out the crotch curves changed the height at the waist. I had this same issue recently with jeans I made. I also have a low seat and the rise ended up being more high rise that mid that I wanted. Should I just shorten the rise on my next pair. any advise. Hi Renee, Firstly, i just need to say, I am SO not an expert fitter or pants sewer, so this i my 2cents, so I hope more knowledgeable seamstresses will have an answer for you also. I think it would be dependant on how much it has affected the rise of your jeans. However, if it is a lot (Which I feel in my case it is) – It might be better to cut horizontally across the pattern a little way down from the top and pinch it out / overlap it along the rise there, going to nothing at the side seam and then sure up the lines again as this should help avoid needing to make any changes to the front pockets, or back yoke. I personally would be using the second method if i chose to lower mine. Awesome review Candice! Thanks so much for taking the time to write and share it! WOW! Your jeans are beautiful!! I am so impressed! Your helpful hints/links are great! Thank You for sharing! I am really impressed with the fit you achieved with your alterations! Nice work, these look great. I only wish I could get my jeans to fit that well in the back. Hi Candice I enjoyed your review! We have almost the same measurements, but I am only 5’2″ tall and have no booty. Flat as a pancake. The pockets always bunch no matter what pants I have. I may jump in to make jeans now that I’ve seen your review and learned about this pattern. 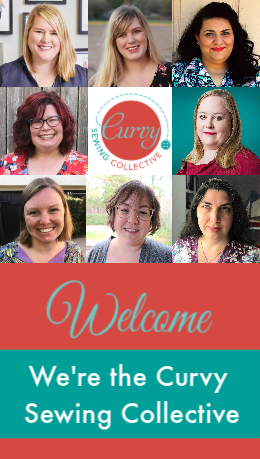 Thanks for helping us be better sewing pros! A terrific review, your fit issues and how you solved them will help a hell of a lot of people. I want to make jeans myself and have been weighing up the various patterns and their merits. This pattern will definitely be considered and this review bookmarked as a) huge size range, b) lots of additional help with techniques to help get the fit right on the muslin and c) they great on you and that’s the best indicater of whether it will be a success. The pocket issue, now you’ve flagged it to us, is easily sorted and I hope the pattern house have took it on board and will make the necessary changes. Wondering if your topstitching thread is white or light blue? I love the dark wash denim with the light colored thread.